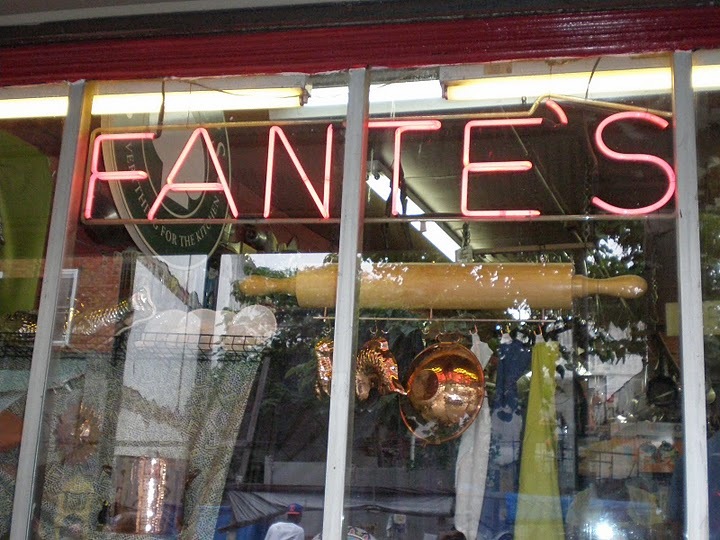 Fante’s is a family owned and operated retail business, located in the heart of Philadelphia’s historic Italian Market since 1906. 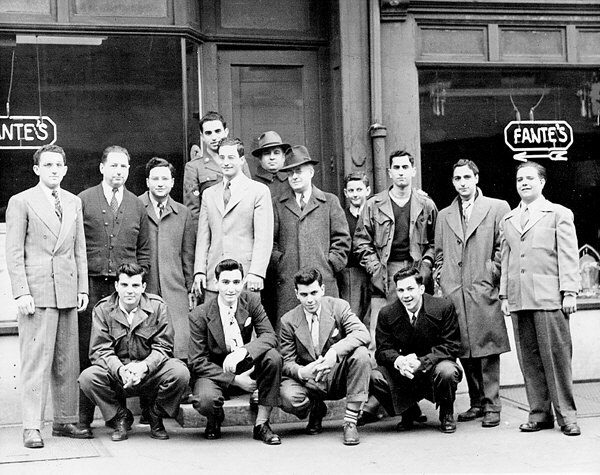 Italian immigrants Luigi L. Fante, Sr. and his father Domenico Fante, a stone mason, founded Fante’s in 1906, and their entire extended family was devoted to the operation of the business. Luigi led the business after his father’s passing. He was known as a dutiful member of the community, and was recognized for having fought hard for human rights for the underprivileged in the neighborhood. When Luigi passed away early in the life of the business, it was passed on to his wife and to their sons Dominic, Frank and Louis. Dominic also took on his father’s role as a very active member of the community, such as acting as Scoutmaster for the local Boy Scout troop, pictured at right. 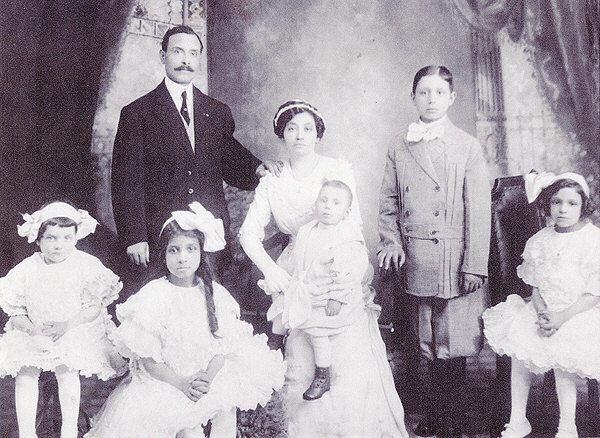 Together with their sisters Rose, Josephine and Theresa, and their spouses, they strived to keep their respected business prospering by constantly varying it to meet the changing demand for products and services. Over the years, we made venetian blinds, installed entire kitchens, sold furnishings, imported china, crystal and other goods from Europe, and lots more. During the second World War, when goods for resale were hard to come by, we purchased distressed goods, repaired and resold them. During this time, the addition of a plethora of items for the kitchen made us famous as a popular stop for these goods. One of the family members, Jeanne Fante, brought back expertise and tools from France, England and Australia that made Fante’s the only place in the area, and probably in the entire country, where pastry chefs could readily obtain equipment for decorating cakes. Courses offered in the art of cake decorating to chefs and restaurateurs became very fashionable. In the early 1960’s, Fante’s mail order catalog contained a wealth of hard to find goods and was successfully sought after by cooks throughout the country. Many articles were written about the unusual kitchen goods that could be found there, and Fante’s became a virtual mecca for chefs and cooks from around the world. In April 1981, the Fante family retired, and the baton was passed on to Mariella Giovannucci, then acting General Manager of the store. The families became acquainted in the mid 1960’s, when the Giovannucci’s emigrated from northern Italy to Philadelphia. Dominic Fante, in his customary generous role, was instrumental in helping many new immigrants adapt to our culture, and employed young Mariella and her siblings for after-school work. Under the guidance of the Giovannucci family, Fante’s direction became even more focused on goods for the preparation and service of food. 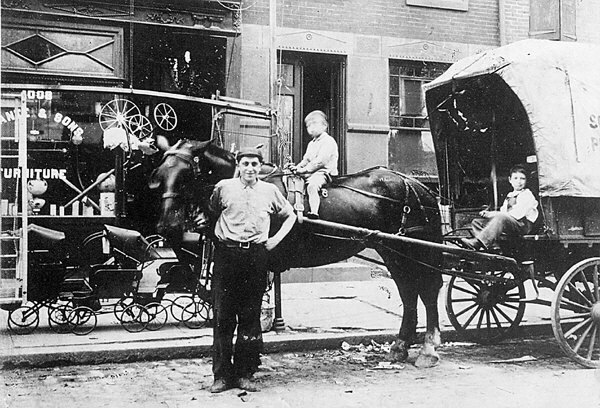 A renowned Philadelphia tradition, Fante’s is nationally acknowledged as one of the finest in the housewares industry. Over the years, Fante’s continues to receive recognition from countless newspaper, magazine, and web articles, as well as from food related programs on television and radio. Famous chefs and cookbook writers make it a point to stop at the original Italian Market store when in Philadelphia, and you’ll find Fante’s listed as a resource in many of their books. We are proud to serve our clients in the Philadelphia area and throughout the United States. This year, @sundaysuppersphilly is honoring @barbacoachef at its annual celebration, Spring Supper. Hear Cristina Martinez and Ben Miller, founders of South Philly Barbacoa, speak about how they are building bridges in their community at the event on April 16. Get tickets at link in @sundaysuppersphilly bio.